Have you ever cringed before the daunting task of striping dozens of wires in order to modify a device or build a kit? Well here at GetLoFi we are making your life a little easier. Introducing the pre-cut, stripped, and tinned multicolor hookup wires. 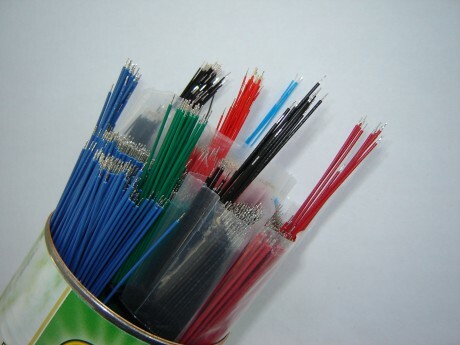 The high quality wire was made to our specifications by a wonderful company in Oregon, USA. There are two varieties Stranded 26 Gauge 5.5 inch for general hookup and Kynar solid core 28 Gauge 6.0 inch for precision work. All our kits from this point on will include this wire and you may also purchase extra bundles in the Parts section of the Shop.